The Bhartiya Janta Party (BJP) on Thursday released its first list of 182 candidates for Lok Sabha poll. As per the list announced by Union Minister and senior BJP leader J P Nadda, Prime Minister Narendra Modi will contest from Varanasi, while BJP President Amit Shah will enter the fray from Gandhinagar. Home Minister Rajnath Singh will be party’s candidate from Lucknow and Nitin Gadkari will contest from Nagpur. In 2014, veteran BJP leader had contested from Gandhinagar. VK Singh will once again contest from Ghaziabad, while Hema Malini will be BJP candidate from Mathura. Sakshi Maharaj and Smriti Irani will fight the Lok Sabha poll from Unnao and Amethi respectively. In West Bengal, Babul Supriyo will once again contest from Asansol. In Jammu and Kashmir, Jugal Kishore will contest from Jammu, Dr Jitendra Singh from Udhampur and Sofi Yousuf from Anantnag. Khalid Jehangir will be BJP candidate from Srinagar. In Maharashtra, Subhash Bhamre will be BJP candidate from Dhule, Hansraj Ahir from Chandrapur and Poonam Mahajan from Mumbai North Central. J P Nadda also informed that the CEC has finalised the names of candidates for all 17 seats in Bihar and the list has been sent to State Election Committee. 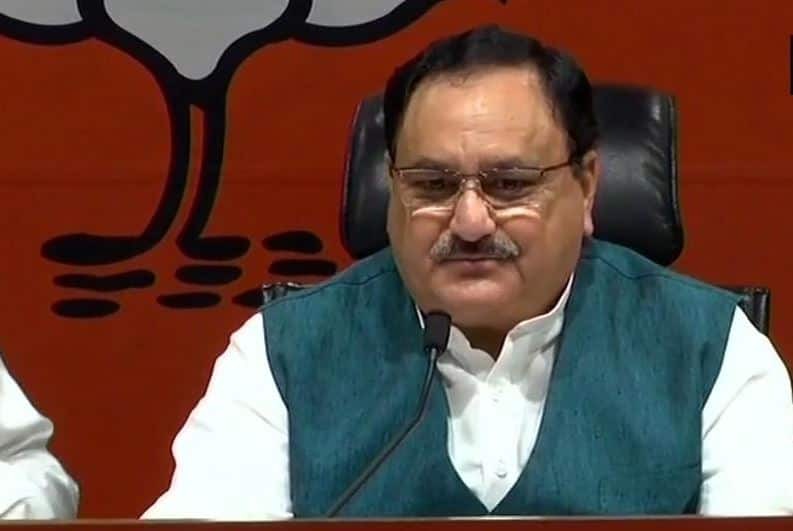 Nadda told reporters that meeting of BJP Central Election Committe (CEC) was held on March 16, 19 and 20 and it was presided by BJP President Amit Shah. The meetings were attended by PM Modi, Finance Minister Arun Jaitley, Home Minister Rajnath Singh, EAM Sushma Swaraj and other CEC members.